This is the relay board that attaches to the Main Board. It houses 4 relays capable of 8A current each. 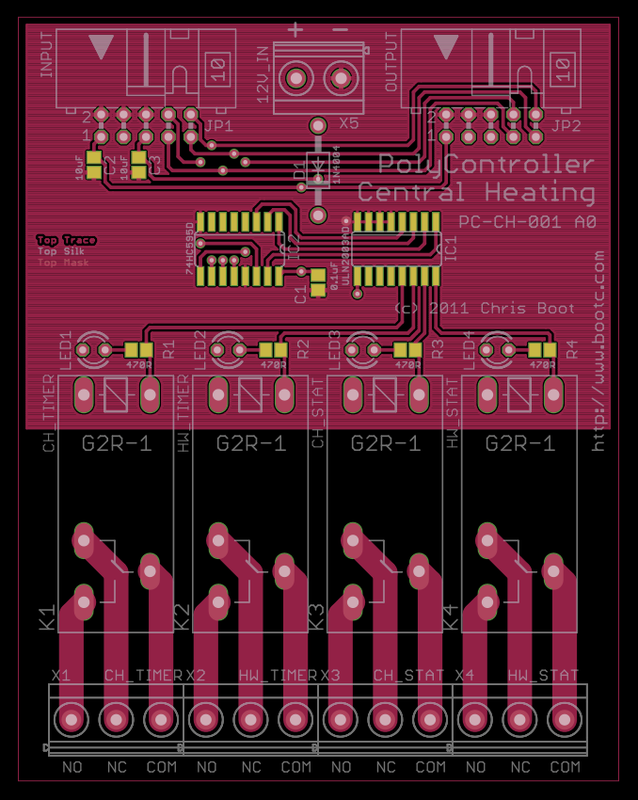 PCB layout (top side only).